See the best Helicopter Ride trips. TourRadar has 23 tours which go to 2 different countries. The shortest tours are 1 days, and the longest 11 days. 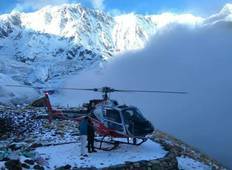 "Best Trip of my Life , Helicopter riding to the Everest Base Camp and Landing at..."
"Sujan was amazing at organizing the trek, very responsive and always willing to help...."
"Omg what an amazing experience to see the Annapurna by helicopter. 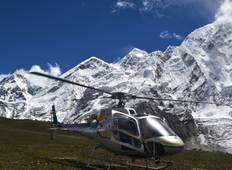 One should do..."
"Everest Base Camp Heli Tour with two of my friends was a fantastic experience. The..."